What type of event can we book you for? Pretty much anything. Venues can range from restaurants, bars, corporate events, private parties wedding receptions but anything else is rarely a problem. Our venue has a dinner crowd early on... then "lively & spirited" patrons as the night goes on. Can you adapt? Party crowd? Absolutely! I can easily modify my playing and songlist "on the fly" per your pre-arranged music requirements. I am comfortable playing Pop, Top 40, Jazz Standards, and Classic Rock tunes... including today's mainstream contemporary artists. Need quality ambience for your restaurant? Yes! Just have to hear a piano version of Stairway To Heaven or a rock classic from Styx ? Certainly! Need holiday themed singalongs? Check! Click on my songlist to view some of the tunes that I will be happy to play for you. 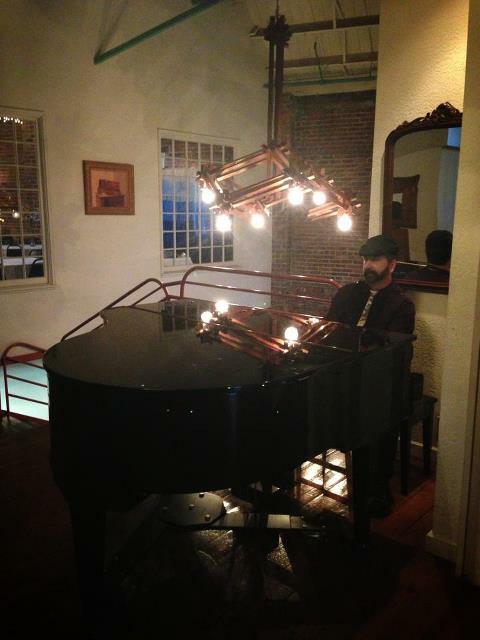 Does there need to be a real piano at our venue? No. Whilst this often ideal, aesthetically and sound wise, I do many gigs on a portable stage-piano/electronic keyboard. In fact, the demo tunes that you hear on my website "Media Samples" page are from one of my digital keyboards. This means I can perform quality digital piano music wherever there's electricity. If I'm playing the venue's piano - just the piano seat will do. Otherwise, I would only need an approximate (preferably minimum) space of 4x8 feet to set up my equipment comfortably. It depends on the dress-code of the event. If it's black tie, I can wear a dinner-suit or tuxedo, if it's a party on the lake then I'll bring my trunks! From corporate casual or Jeans Friday attire... just let me know when booking and I will dress accordingly. How loud are you going to be? Both acoustically and electrically I can be as quiet or as loud as needed, being sensitive to the surroundings. Can you play pre-recorded background music while you're on a break? If there's no piano at the venue and I'm bringing my own keyboard and sound system, then yes this is no problem. I will play an appropriate mix of songs through my sound system. How can you do all those requests - Doesn't that require a good memory or carrying lots of songbooks with you? To use a cliche: "There's An App For That". Rarely... but if needed, I utilize a small 7" tablet PC and/or smartphones that have "apps" which can look up virtually any tunes that you may wish to request. There will be no music stands to disrupt my view of your audience or your view of me. Add to the fact that I have played Top40 popular music for decades on piano. So if it IS or HAS been on the radio, iTunes, Satellite Radio, CD, DVD ,LP, TV, Cassette, 8 Track OR even on YouTube or elsewhere on the Internet... I've probably heard it too. View my songlist to see some of the tunes that I will be happy to play for you. All the top hits including Frank Sinatra, Billy Joel, Elvis Presley, Pharrell, Ed Sheeran, Elton John, Lady Gaga and yes... even Justin Bieber. It's what I do. © Robert Johnson Piano, All Rights Reserved.